The festival headlines Gladys Knight. Singer Al Jarreau co stars. 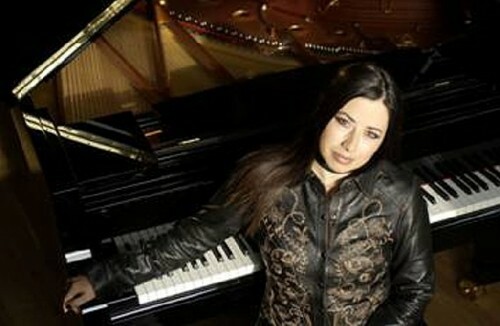 Pianist Rachel Z will play. Saratoga Performing Arts Center has announced that the 33rd annual Freihofer's Saratoga Jazz Festival will present a stellar 2010 lineup including the "Empress of Soul" Gladys Knight, jazz singer Al Jarreau & the George Duke Trio, legendary blues icon Taj Mahal, guitarist extraordinaire Al Di Meola and two piano legends Â– Ramsey Lewis and Ahmad Jamal. The Saturday, June 26 and Sunday, June 27 jazz festival will feature more than 20 performances over the two-day weekend on SPAC's Amphitheater and Gazebo stages. Located in scenic Saratoga Springs, New York, Saratoga Performing Arts Center has been the site of Freihofer's Saratoga Jazz Festival since George Wein established it in 1978. With an inside seating capacity of 5,200, lawn seating of 20,000, world class jazz talent and just three hours driving time from either Boston or New York City, SPAC's Jazz Festival draws thousands of jazz lovers from across the Northeast and the United States. "The Freihofer's Saratoga Jazz Festival offers a jazz lineup of unparalleled quality and diversity, with musicians from every corner and tradition in the jazz world displaying the extraordinary range and richness of the art form. From icons like Al Jarreau, a seven-time Grammy winner, to Gladys Knight, whose powerful vocals have put her at the top of the R&B charts time and again, to bona fide guitar hero Al Di Meola, our festival is a showcase for the artists who have shaped the history of jazz," said Marcia J. White, SPAC's President & Executive Director. "The qualities of genius and innovation that put these figures at the top of the jazz world are also driving today's rising stars to expand the genre in new ways. Performances by some of today's finest jazz musicians will delight festival audiences while also offering a taste of where the art form is moving in the year 2010. Up-and-coming young artists like saxophonist JD Allen, singer Alyssa Graham, trumpeter Mario Abney, bassist Linda Oh and other contemporary young musicians will celebrate jazz, present and future," she added. "Our Festival also offers an atmosphere that is as spectacular as the music. Our lush lawn, framed by the 50 to 60 foot emerald pines of the Saratoga Spa State Park, is the perfect place to stretch out, relax and take in the music. In addition, our free parking, the opportunity to bring in your own food, beverages, blankets and tents make our festival a fabulous, affordable escape. Truly, our event offers an experience that few others can match," said White. The 33rd Annual Freihofer's Saratoga Jazz Festival is co-presented by SPAC and Absolutely Live Entertainment, LLC, a festival, tour and concert production company led by industry veteran Danny Melnick. Melnick has served as the festival's artistic director and producer since 1999. Further information on ALE can be found at absolutelylive.net. 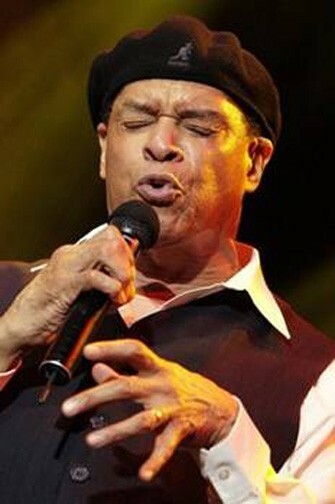 Seven-time GrammyÂ® winning vocalist AL JARREAU, considered by many to be one of the greatest living jazz singers, will team up with jazz master keyboardist-composer-producer GEORGE DUKE and his trio featuring Michael Manson on upright and electric basses and Ronald Bruner, Jr. on drums (industry buzz says they are recording a hot new CD together, for release later this summer). The scope of George Duke's imprint on jazz and pop music over the past forty years is almost impossible to calculate. He has collaborated with some of the most prominent figures in the industry. A producer since the 1980s, he has crafted scores of fine recordings Â– many of them GrammyÂ® winners Â– for artists representing almost every corner of the contemporary American music landscape. The Sax for Stax band features alto saxophonist GERALD ALBRIGHT with his uniquely bluesy tones and "So Amazing" high altissimo notes along with the gospel-influenced tenor saxophonist KIRK WHALUM with his soulful, smooth-as-silk sound paying tribute to the legendary Memphis sound of Otis Redding, Isaac Hayes, Wilson Pickett, Booker T & the MGs and others. Making his first-ever Saratoga festival appearance is one of the world's greatest jazz piano players, AHMAD JAMAL. Jamal's current band includes long-time bassist James Cammack, New Orleans drummer Herlin Riley and percussion master Manolo Badrena. Named an American Jazz Master by the National Endowment for the Arts in 1994, Jamal, who had his first hits in the 1950s, celebrates his 80th birthday this year. Also making a first time appearance at the Festival is GrammyÂ® winner, composer, multi-instrumentalist and vocalist TAJ MAHAL. Mahal is one of the most prominent and influential figures in late 20th century blues and roots music. Though his career began more than four decades ago with American blues, he has broadened his artistic scope over the years to include music representing virtually every corner of the world Â– West Africa, the Caribbean, Latin America, Europe, the Hawaiian islands and so much more. Legendary guitarist, AL DI MEOLA leads World Sinfonia, a 6-piece Latin Jazz fusion band. A real life "guitar hero" and one of the most prominent virtuosos in the contemporary instrumental jazz field, Al Di Meola's dazzling technique on both acoustic and electric guitars is unmatched, extending to fluid arpeggios flying at breakneck speed and beautiful, slow vibrato-laden melodies. 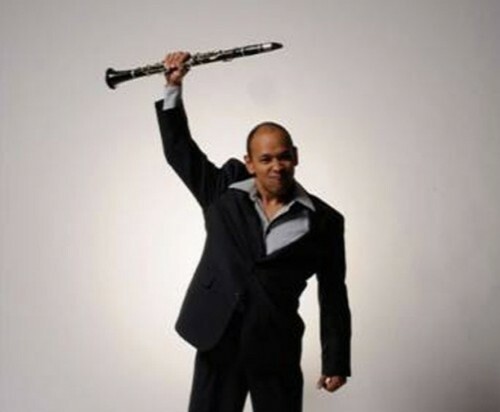 Clarinetist EVAN CHRISTOPHER is a refreshingly bright light on the international jazz scene. He combines virtuosity, immaculate taste, and enthusiasm with a deep commitment to exploring the full range of musical possibilities that come from celebrating the traditions of New Orleans Jazz. His highly individual sound is anchored in the expressive language created by early Creole clarinetists such as Sidney Bechet, Omer Simeon, and Barney Bigard. Trumpeter MARIO ABNEY and his quintet blew the socks off of producer Danny Melnick at last year's New Orleans Jazz & Heritage Festival. Abney graduated from Central State University in Ohio in 2005 and by that time his talent buzz was so strong that he had already played with vocalist Erykah Badu, jazz masters Wynton Marsalis, Roy Hargrove and Jimmy Cobb, among many others. Now a resident of New Orleans, Abney leads a powerfully funky jazz ensemble. "TOMASZ STANKO has rightfully earned his place as one of Europe's best and most intense trumpeters," stated Stereophile Magazine. ECM recording artist Tomasz Stanko, now a NYC resident, has had a long and illustrious career throughout Europe; his appearance at Saratoga will be his first. Stanko's music, as heard on his new recording Dark Eyes is ethereal, wandering, deep--the trumpeter plays with a dark, intense tone that is immediately identifiable. Emerging jazz vocalist ALYSSA GRAHAM's new CD, Echo, was a Critic's Choice in the New York Times which also hailed Graham as [having] "The right voice . . . a sumptuous and flexible croon." The Washington Post stated: "The honey-voiced chanteuse . . . smokes!" and The New Yorker exclaimed "Lovely and haunting." Hailed by The New York Times as: "A tenor saxophonist with an enigmatic, elegant and hard-driving style," JD ALLEN is one of the most thoughtful jazz saxophonists on the scene today and recent "new" headliner at the famed Village Vanguard jazz club. The Detroit native's apprenticeship has largely been in New York, where he has performed, recorded and toured with legends such as Betty Carter, Louis Hayes, Ron Carter and Jack DeJohnette, and currently leads his piano-less trio featuring bassist Gregg August and emerging young drummer Rudy Royston. Percussionist STEVEN KROON has powerful credentials. He worked with Luther Vandross from 1981 to 2001, performing with him on seven platinum albums and fifteen world tours. With Luther, he also performed on such TV shows as The Tonight Show, The Late Show with David Letterman and The Grammy Awards. Steven also played in jazz giant Ron Carter's band from 1987 to 2004, including extensive tours of the United States, Japan and Brazil. In addition, Kroon recorded with Roberta Flack, Aretha Franklin and Diana Krall. Currently he leads his own Latin Jazz quintet and has released three CDs. One of the great soul singers, GLADYS KNIGHT is steeped in the gospel tradition. Gladys Knight & the Pips developed into one of Motown's top artists and in 1973, Knight had her biggest Motown hit with "Neither One of Us" which was followed by the smashes "Midnight Train to Georgia," "I've Got To Use My Imagination" and "Best Thing That Ever Happened To Me." Now performing separately from the Pips (who have retired), Ms. Knight remains one of the queens of R&B and she has maintained an active recording career into the new millennium, releasing At Last, an album of urban R&B, on MCA in 2000; One Voice, a gospel set, on Many Roads Records in 2005; and Before Me, an album of jazz standards, on Verve in 2006. She last graced the festival stage in 2001. Buena Vista Social Club visionary JUAN DE MARCOS leads the AFRO-CUBAN ALL STARS, a musical ensemble whose members span four generations. Their music is a heady mix of all the historic rhythms of Cuban music, including bolero, chachachÃ¡, salsa, son montuno, timba, guajira, danzÃ³n, rumba and abakua. Chicagoan pianist, composer and radio personality RAMSEY LEWIS has been referred to as "the great performer," a title reflecting his performance style and musical selections which display his early gospel playing and classical training along with his predilection for jazz and other musical forms. Lewis has recorded over 80 albums, has received five gold records and three GrammyÂ® awards during his career. He last appeared at the festival in 1989. Welcome back Ramsey! ANN HAMPTON CALLAWAY is a champion of the great American Songbook and she has made her mark as a singer, pianist, composer, lyricist, arranger, actress, educator, TV host and producer. A born entertainer, her unique singing style blends jazz styles with traditional pop, making her a mainstay in concert halls, theaters and jazz clubs as well as in the recording studio, on television, and in film. Heralded by The Los Angeles Times as "one of the most important young artists in jazz", GrammyÂ®-nominated vibraphonist-composer STEFON HARRIS and his band BLACKOUT were described by NPR as "a troupe of music mercenaries adept in the language of jazz, the strut of soul music and the raucous ruckus of breakbeats, go-go and new-jack rhythms!" The astonishingly gifted pianist RACHEL Z first came to the attention of the international jazz world with her acclaimed collaboration with saxophone great Wayne Shorter on his hit album High Life. A classically trained pianist and free experimenter with electronics and synthesized sound, her TRIO OF OZ's sets include jazz-morphed versions of classics by artists as diverse as Soundgarden, Nirvana, Sade, Steely Dan, Smashing Pumpkins, Seal, Peter Gabriel, and Johnny Cash. The Trio of Oz features the amazing drummer OMAR HAKIM. Hakim rose to fame in the 1980s as one of the world's greatest percussionists having done most of the drum work on Dire Strait's landmark album Brothers In Arms and Sting's critically-acclaimed first solo album, The Dream of the Blue Turtles. Hakim has also worked with Miles Davis, Madonna, Weather Report, Anita Baker, Chic, Mariah Carey and countless others. Saxophonist HAILEY NISWANGER (pronounced "NICEÂ–wonger"), currently attending the prestigious Berklee College of Music in Boston where she is studying jazz performance on a full scholarship, has an impressive list of accomplishments that reach far beyond the borders of her home in Portland, Oregon and well beyond her years. Born February 12, 1990 in Houston, Texas, she has already shared the stage with Dee Dee Bridgewater, George Duke, George Garzone, Red Holloway, Terell Stafford, Phil Woods, James Moody, Steve Nelson, Christian McBride, McCoy Tyner, Maceo Parker, Wynton Marsalis, Mark Whitfield and other jazz greats. She leads her own quartet and was the recent focus of a Wall Street Journal article, written by the legendary jazz writer Nat Hentoff.
? The distinctive GrammyÂ®-winning tenorist RALPH LALAMA's style of playing reveals an enormous depth of musical heart and knowledge. Combined with his muscular sound, executed in a freewheeling, no-holds-barred approach to music, one understands why he so thoroughly connects with musicians and listeners alike. Born in Malaysia, raised in Australia and now living in New York City, 25-year-old bassist LINDA OH has been creating a buzz and garnering critical praise from critic Ben Ratliff of the New York Times. Linda has already performed with the likes of Slide Hampton, T.S. Monk, Nathan Davis, George Cables, Nasheet Waits, Joel Frahm, Billy Kilson, Steve Wilson and Billy Childs. In 2009, she released her debut trio album, Entry. 29-year-old drummer KENDRICK SCOTT has been a member of Terence Blanchard's band for over five years and has enjoyed stints with John Scofield, Joe Sample & The Crusaders, Stefon Harris, Lizz Wright, Maria Schneider, David Sanborn and Dianne Reeves, to name a few. Scott now leads his own ensemble, Oracle, which he will showcase at the festival. Ticket order forms are available now at http://www.spac.org or by phone at 518-584-9330. The Saratoga Performing Arts Center Box Office opens May 9.